With our great success in producing quality headphone amplifier, Miu Audio decided to share our experience with our users. 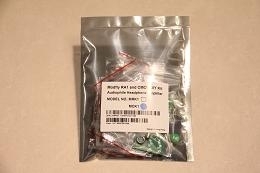 Different kind of DIY kit sets have been developed for some audiophiles who want to make their own headphone amplifier. The size of the finished amplifier is small enough to house in small candy can available in the market. MRK-1 DIY headphone amplifier kit produce sweet and warm vocal. It's perfect for leisure music listening.